Over the years I’ve learned something. As much as The Prince and Michael Experience is about the music, it’s also about people. I’ve dj’ed the PR+MJ parties at a few places that were dress code etc. places and it seemed like the patrons weren’t even fans of Prince and MJ. Compare that to when we produce our own parties where there are diehard fans coming outta the wood work. Then there’s the casual fan, that gets hooked and starts coming to the parties on the regular and get exposed to Prince and Michael music they didn’t know of before. It’s taken us 9 years to get to this point. Having a packed house is great, making money is great, but in the end it’s about the music and the community that we are all building. Prince and Michael Jackson fans are the best. Thank u all – l.o.v.e. 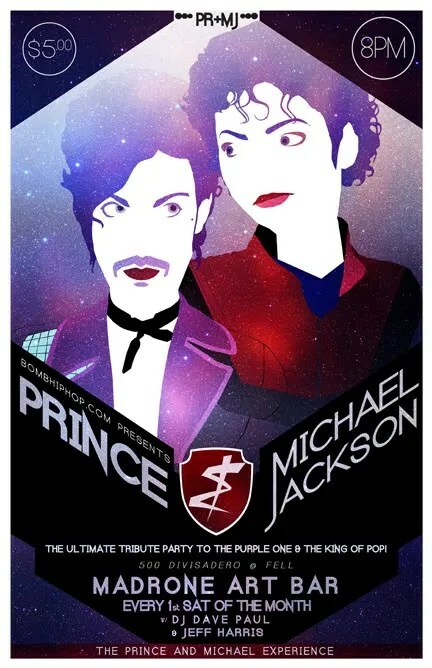 This entry was posted on February 3, 2012 at 5:01 pm and is filed under Events, Michael Jackson, Prince. You can follow any responses to this entry through the RSS 2.0 feed. You can leave a response, or trackback from your own site.